Currently there is no a literature survey which evaluates and classifies the papers according to the macroergonomic factors and elements that authors consider needed to work systems' design. For that reason, this chapter offers a review to identify the most frequent macroergonomic work systems' design factors and elements enounced in literature and propose a classification for them. A manual search was performed in seven databases by using keywords such as sociotechnical systems, macroergonomics, and work systems design. Bibliographical sources were classified into five main groups, corresponding to the factors of work systems' design, named Peron factor, Organization factor, factor of Tools and Technology, Tasks factor, and Environment factor, and their corresponding subgroups (elements). The macroergonomic Organization factor presented the highest frequency, while the macroergonomic factor of Tools and Technology presented the lowest frequency. Regarding the elements, Teamwork was the most frequent, while Advanced Manufacturing technology and Work Schedules were the less frequent. Competitiveness nowadays has made companies adopt new methods and techniques to persist in the market. Ergonomics is a scientific discipline that helps in the design of work systems. By applying ergonomic methods at micro- and macroergonomic levels, companies can improve the skills, abilities, comfort, and performance of workers (Helander & Burri, 1995; O’Neill & Evans, 2000). On the one hand, microergonomic methods are applied at an individual level to analyze a specific task. On the other hand, macroergonomic methods are applied at the organizational level to enhance the performance of work systems. Therefore, Macroergonomics aims to help the entire company improve its competitiveness in the global market (Carayon, 2011; Erensal & Albayrak, 2004). Hendrick and Kleiner (2005) state that the optimization of human-systems interfaces by means of the design of sociotechnical systems has been going on since the formal inception of Human Factors/Ergonomics in the late years of the decade of 1940. Moreover, according to Moray (2005) and Hendrick (2005), by 1986 there was a significant conceptualization of the ergonomics of work systems to identify a new separate sub-discipline, which became formally established as Macroergonomics in 1986 by Hendrick (Alfred et al., 2011; Moray, 2005). Hendrick belonged to the Human Factors Society’s (now the Human Factors and Ergonomics Society) Selected Committee on Human Factors Futures. This Committee researched the trends that Ergonomics suffered in the decade of 1980, and Hendrick realized that it was possible to ergonomically design work system’s factors, modules, and subsystems. The first textbook on Macroergonomics was written by Hendrick and Kleiner in 2002 (Alfred et al., 2011; Hendrick & Kleiner, 2005). Macroergonomics, as a science, is defined as a top-down and bottom-up sociotechnical approach for systems that includes organizational structures, policies, and processes that help in the design of a work system and man-work, man-machine, man-software, and man-environment interfaces (Carayon, 2011; Hendrick, 1997; Hendrick & Kleiner, 2000; International-Ergonomics-Association-(IEA), 2013). This means that structures and processes that constitute the overall work system can be improved by (a) analyzing and designing the overall work system structures and processes and then working down through the subsystems and factors, or (b) analyzing the factors and then systematically build up to the overall system structure and processes (Hendrick, 2005; Moray, 2005). The main purpose of Macroergonomics is to ensure that work systems are fully harmonized and compatible with their sociotechnical characteristics, giving synergistic improvements on several criteria of organizational effectiveness such as health, safety, comfort, and productivity (Carayon, 2011; Hendrick, 2005; Moray, 2005). Historically, Macroergonomics has been applied in different industries such as nuclear, petrochemical, manufacturing, military, medical, aviation, and construction (Alfred et al., 2011; Shapiro, 2011). Recently, new macroergonomic models have been developed. These models represent companies by including different macroergonomic factors that affect the performance of such organizations. 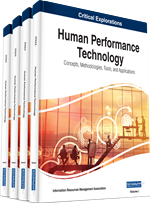 These factors comprise human factors, tools and technology, environment, organization conditions, and tasks (Carayon et al., 2006; Carayon et al., 2014). The objective of these macroergonomic models is to analyze companies from these factors perspective to improve the design/redesign of work systems. These improvements are reached when macroergonomic factors are optimized, which also improves the organizational effectiveness, production, and quality of companies, as well as employees’ health, and safety (Carayon, 2011). Therefore, the application of macroergonomic methods represents a strategy for companies to increase their competitiveness in a global market.